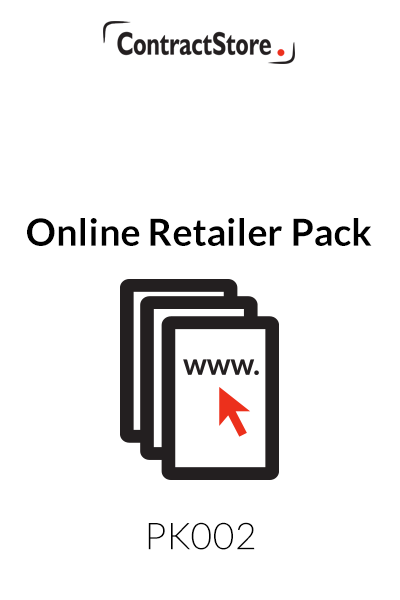 This online retailer’s business pack contains a collection of legal documents and statements for use when setting up an e-commerce website to sell goods online as well as various helpful guidance documents for someone setting up a new business. A Non-Disclosure Agreement. This is suitable for use when you begin negotiation with a potential business partner to develop your idea, and it can be used with your website designer. 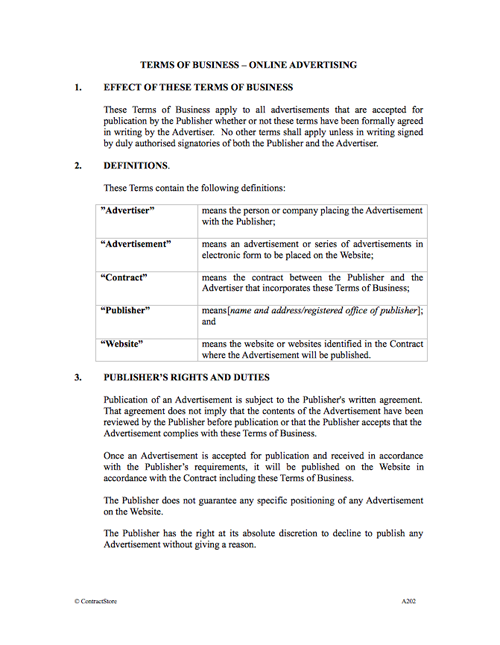 Terms of Business for Advertising Online. If you are planning to accept orders from other businesses to advertise their goods or services on your website, these Terms offer a pretty comprehensive set of terms for you to use. These Terms of Business are for use where a web or blog publisher accepts orders from an advertiser wishing to advertise goods or services on the publisher’s website. a general clause detailing the scope of the agreement, variation, representation, severability, waiver, notices, assignment and third party rights. You need this document if you are an online publisher and want to clearly define your relationship with website advertisers. This letter is designed for use when a person wishes to enter into discussions for a new project and requires the other party to agree that all information provided will be kept confidential and returned if the project does not go ahead. The agreement is similar to Document A105, but is in the form of a letter. It must be countersigned by the addressee before any confidential information is released. It can be used for a wide range of projects – from the development of land to the manufacture of a new product.